Better than new! This stunning rancher backs to a large park and sits on a quiet street just minutes from I-25. All new landscaping includes a large stamped patio and lighted waterfall. From the entrance of this desirable floor plan, you're greeted with high ceilings and large windows. The kitchen features all upgraded GE Profile stainless appliances, a double oven, a large pantry and a spacious island with a raised bar, making this a dream kitchen for any chef...The kitchen overlooks the dining area and living room, and large picture windows look out to the spacious backyard and park. The master retreat has high trayed ceilings with a spacious ensuite 5-piece master bath, granite tops, jetted tub and large tile shower. A popular feature of this home is that the master closet directly adjoins to the laundry room. The main level also hosts 3 additional bedrooms, a Jack & Jill bathroom with a double vanity and a finished 3-car garage, making this an ideal home for main level living. 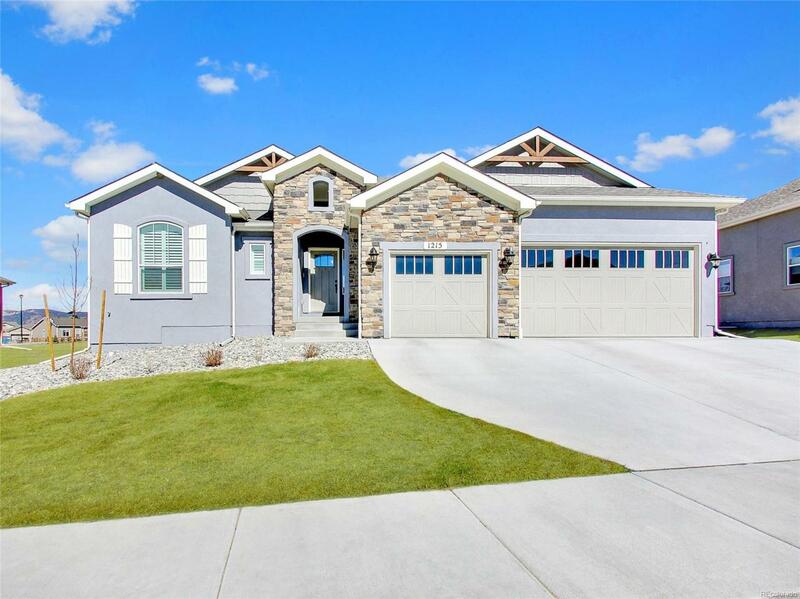 Offered by Great Colorado Homes. Association Name Primary Village Center At Woodmoor Hoa Inc.